Panasonic has expanded its 4K Ultra HD Premium Blu-ray player range with two new models – the DMP-UB400 and DMP-UB300 – providing consumers with wider access to Panasonic’s premium Blu-ray capabilities. 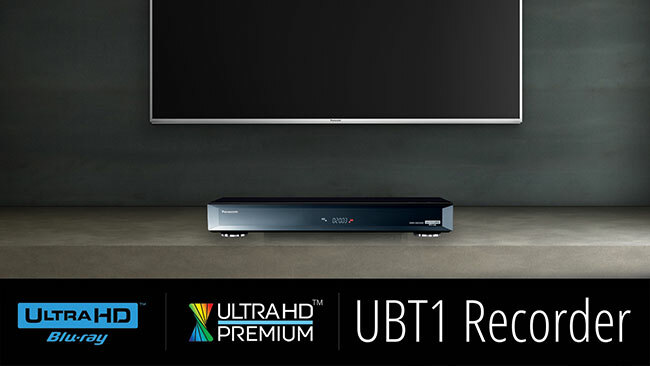 Ultra HD Blu-ray is the next-generation Blu-ray Disc standard that not only delivers true-to-life 4K HDR resolution, but also supports the BT.2020 set of standards – providing a significantly wider gamut of colours that offer richer and more vibrant displays. The new players are Ultra HD Premium Certified. “With these competitively-priced new models, Panasonic is opening up the amazing cinema-level viewing experience of 4K Blu-ray to a greater number of Australian consumers,” said Doug Campbell, Category Manager, AV and Imaging, Panasonic. 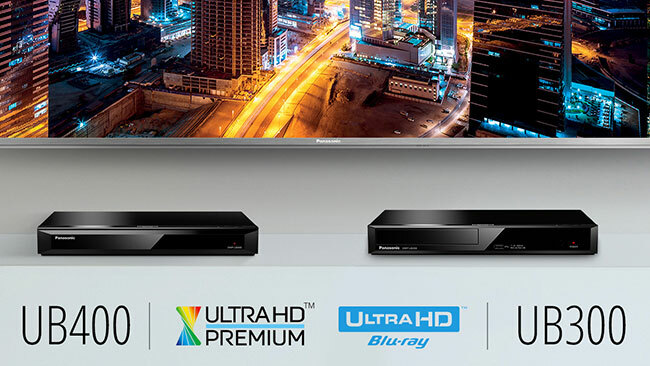 Panasonic’s new Ultra HD Blu-ray Players render fine details like never before thanks to their high 4K resolution. It provides life-like depth effects and vivid colours through high contrast between dark and light areas; and displays sharp and beautiful images enhanced by smooth motion. The Panasonic Hollywood Laboratory (PHL) Blu-ray R&D facility has also provided an extra boost in the development of the new players, creating and refining a new processor to provide the thrilling home entertainment experience that creators intended for every movie and TV program. For more flexibility and convenience, the DMP-UB400 features Twin HDMI outputs. By separating video and audio signals, transmission of the picture and sound is clearer and more accurate. The DMP-UB400 and DMP-UB300 also support high-resolution audio formats such as WAV, FLAC, ALAC and DSD, as well as popular 4K Video on Demand. Panasonic will also expand the range later in 2017 with the introduction of the DMR-UBT1 4K Ultra HD Premium Blu-ray Player and Full HD Recorder. This model will include a two terabyte hard disk drive, and offer Full HD recording onto HDD or Blu-ray disc, as well as offering 4K UHD playback. The three new models join the Panasonic lineup, which is the largest range of Blu-ray players and recorders on the market today. Panasonic will continue to offer the acclaimed DMP-UB900 in 2017. The DMP-UB400 and DMP-UB300 incorporate a HDR 4K engine, called the HCX (Hollywood Cinema Experience) Processor for Ultra HD Blu-ray, which inherits the high picture processing capability of the DMP-UB900 Ultra HD Blu-ray Player launched last year. The HCX Processor is a variant of the HCX2 chipset used in Panasonic’s award winning 4K Pro HDR televisions. Accordingly, using Panasonic’s 4K Pro HDR TVs together with the Panasonic 4K Ultra HD Blu-ray Players delivers the most accurate movie playback, true to the filmmaker’s intention. It also reproduces Ultra HD Blu-ray and 4K video images from the Internet with precise colours and optimal brightness. In ordinary up-sampling, the system samples adjacent, upper and lower colour pixels, and uses them to create intermediate pixels in what is called a “2-tap process.” Panasonic uses a “multi-tap process” to compare a number of pixels in addition to those in the upper and lower positions, and to therefore create optimal pixels. By increasing the accuracy of the multi-tap process to interpolate the decoded 4K (4:2:0) signals of Ultra HD Blu-ray content to 4K (4:4:4), it delivers beautiful, natural pictures with lifelike depth and vivid colours. The DMP-UB400 and DMP-UB300 also have an original 4K Direct Chroma Up-scaling function to deliver 4K-quality pictures with high resolution and beautiful colours from 2K content. Panasonic 4K Ultra HD Blu-ray Players maximise the image expression that is inherent to Ultra HD Blu-ray, reproducing images with greater brightness and beauty than ordinary Blu-ray Disc images even when played on a non-HDR TV. The DMP-UB400 features two HDMI outputs to isolate and transmit TV (4K Video) and amp audio. The twin HDMI arrangement separates audio and video signals to supress unwanted noise and achieve high-quality audio reproduction. The DMP-UB400 also switches off unnecessary circuits – such as HDMI, coaxial or optical output etc – to reduce noise and enhance performance. The DMP-UB400 and DMP-UB300 are also designed for high-resolution audio reproduction. In addition to conventional WAV/FLAC/MP3/AAC/WMA formats, DSD (5.6 MHz/2.8 MHz) and ALAC music files can be reproduced. 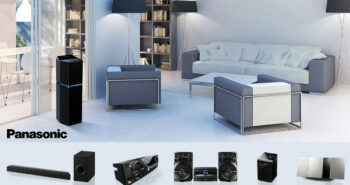 Simply connect to a home audio system to enjoy music sources equivalent to studio master sound quality. The distinctive, warm, comforting sound characteristics of tube amplifiers are faithfully simulated by the DMP-UB400. Six different kinds of sounds, including vacuum tubes with 96-kHz/192-kHz up-sampling, can be enjoyed in exceptionally high-quality. As demand for 4K content continues to expand, the DMP-UB400 and DMP-UB300 Blu-ray players support 4K VOD (Video on Demand) services and offer a new video viewing experience for those who demand uncompromised quality in picture and sound. The DMP-UB400 offers the convenience of mirroring content on your smartphone or tablet, and includes built-in WiFi. Users can also reproduce 4K videos (MP4) that they’ve taken with a camera or camcorder and can output JPEG data in 4K resolution. Panasonic’s 3D glass cut design in a compact body features a bevel cut finish on all four sides to present a subtle yet distinctive presence; perfect for complementing any flat-panel television. DMP-UB300: RRP $449; Available in June. DMP-UB400: RRP $549; Available in June. DMR-UBT1: RRP TBA; Available in September. 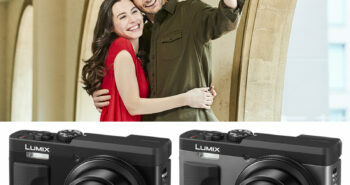 For more information, please contact Panasonic on 132 600 or visit the website: www.panasonic.com.au.